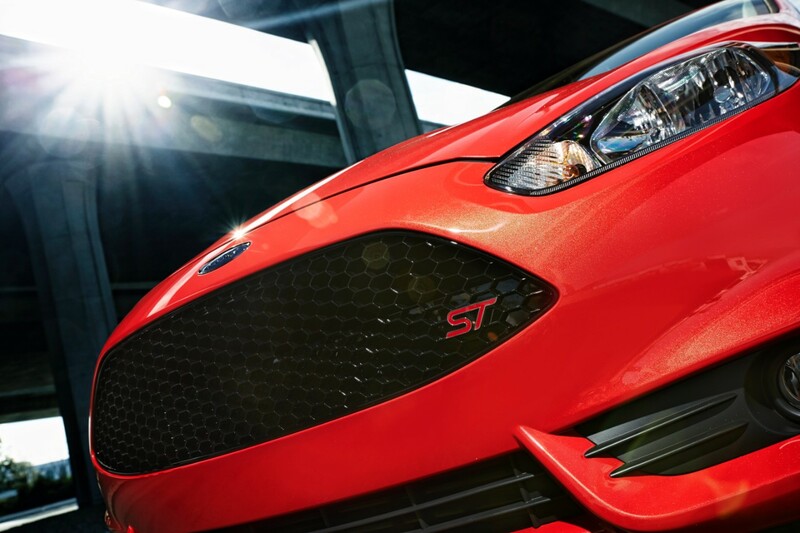 Fiesta ST may be born with racing DNA, but buyers won’t have to pay for that performance at the pump. 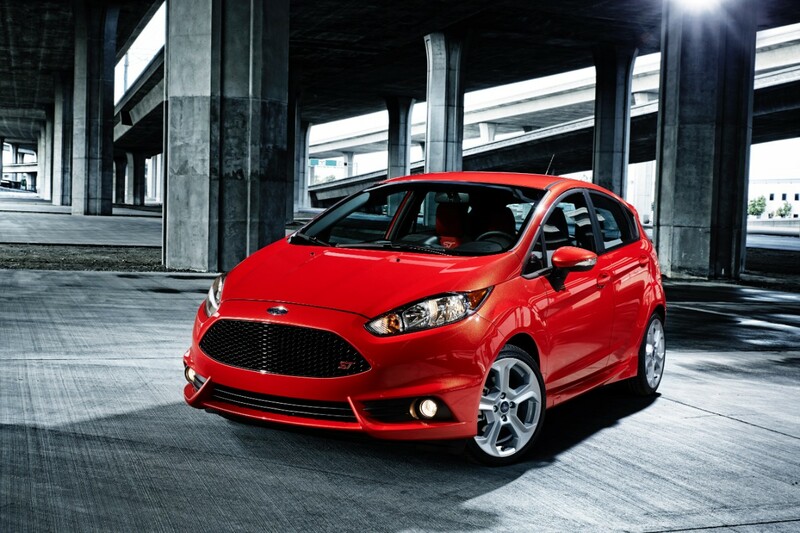 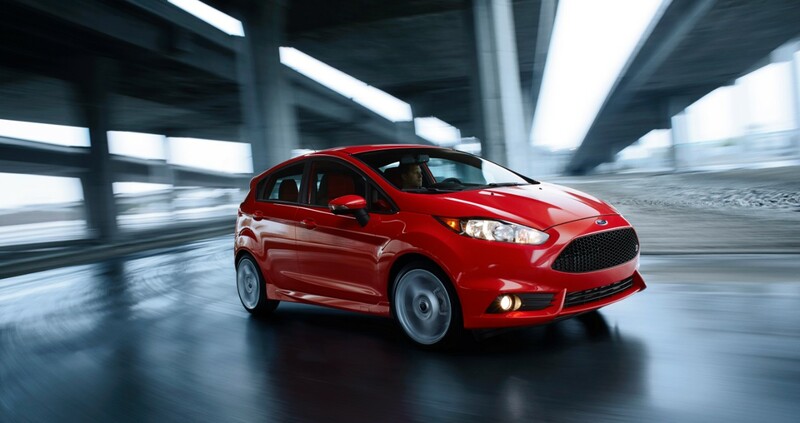 Available exclusively as a five-door hatchback in North America and with a six-speed manual transmission, Fiesta ST is projected to achieve up to 26 mpg city, 35 mpg highway and 29 mpg combined. 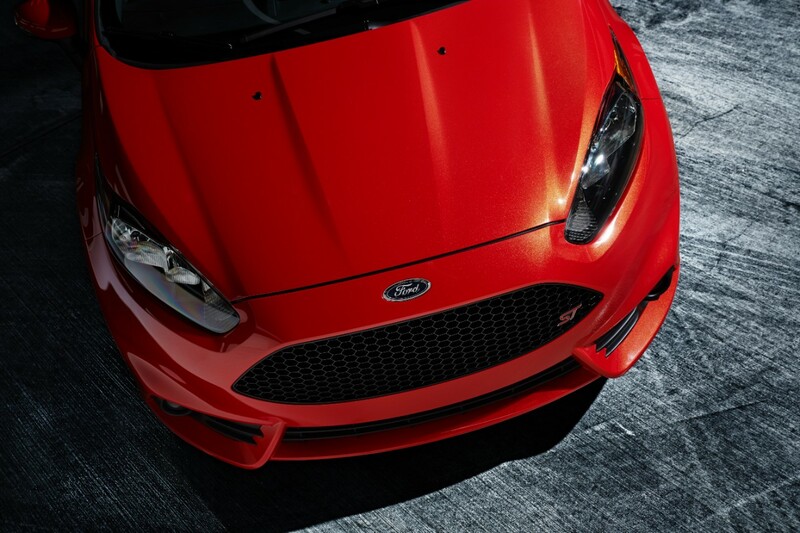 This compact performance machine sports a unique grille and chin spoiler with new rear diffuser and fascia extensions. 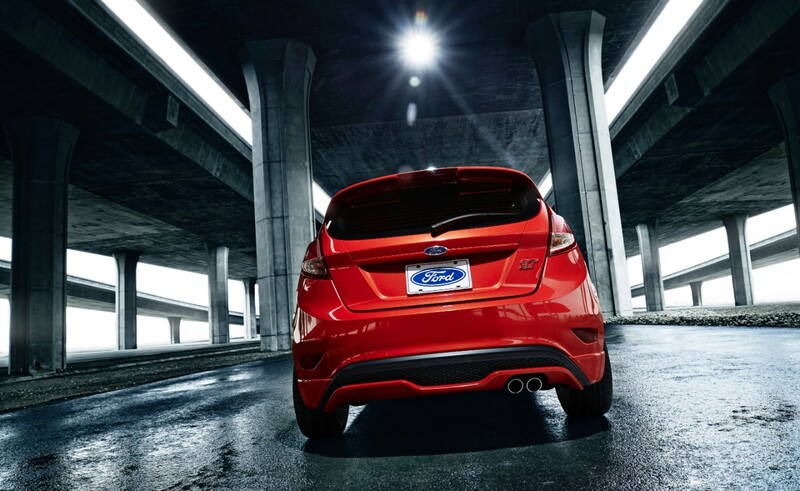 Bright tipped dual-exhaust pipes and high-mount spoiler along with unique 17-inch wheels complete the visual package: Fiesta ST looks like it’s made for the racetrack. 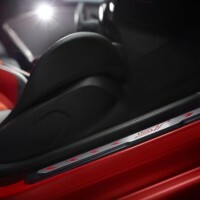 The car is first of its nameplate to receive the Molten Orange tri-coat metallic paint. 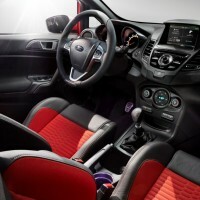 Fiesta ST steering is more direct and responsive than the base model. 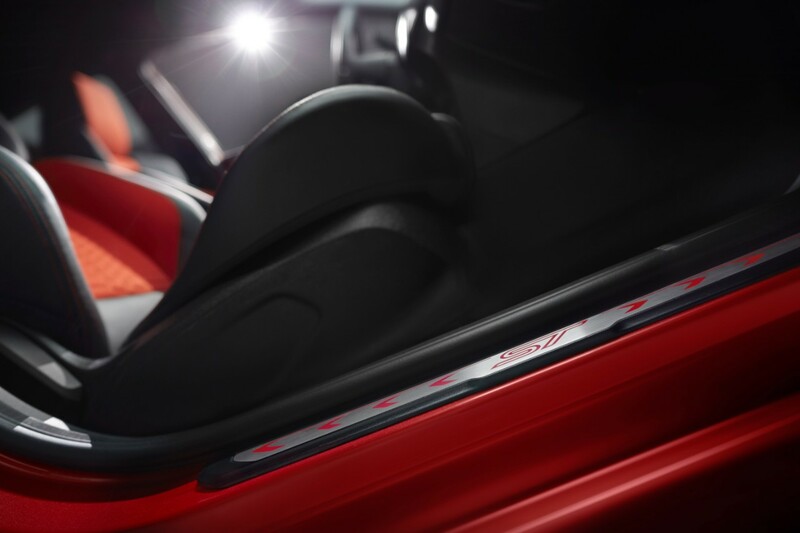 A unique suspension with modified front knuckle makes for a quicker overall steering ratio of 13.6:1. 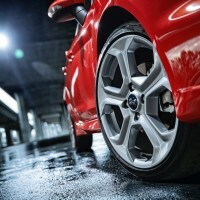 The rear axle gets increased roll stiffness to improve stability through fast corners, while the Fiesta ST body sits 15 millimeters closer to the ground than the base model. 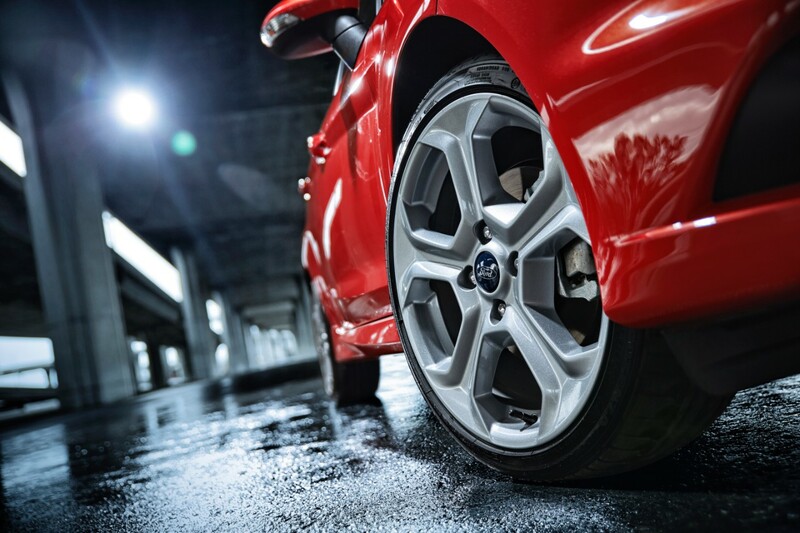 Increased mechanical grip provided by the suspension improvements is further enhanced with electronic Torque Vectoring Control to reduce understeer during hard cornering maneuvers. 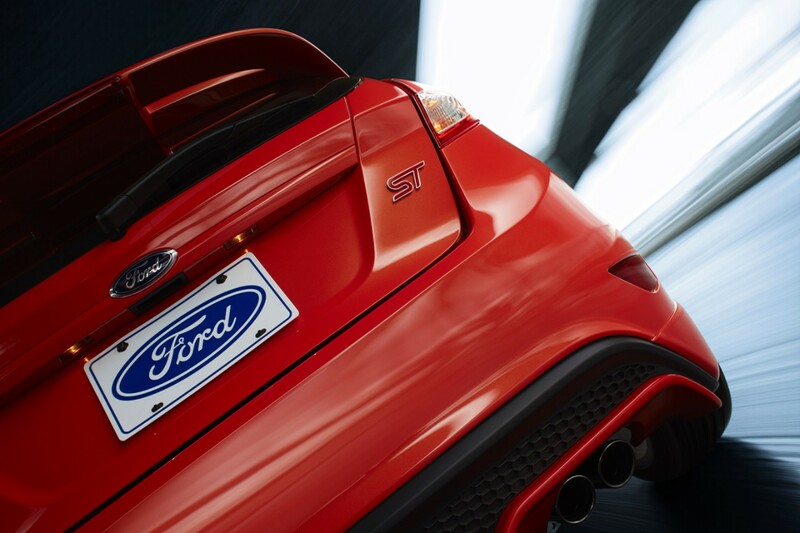 Three-mode electronic stability control – standard, sport or off – enables the ST driver to select the amount of electronic aid based on current conditions. 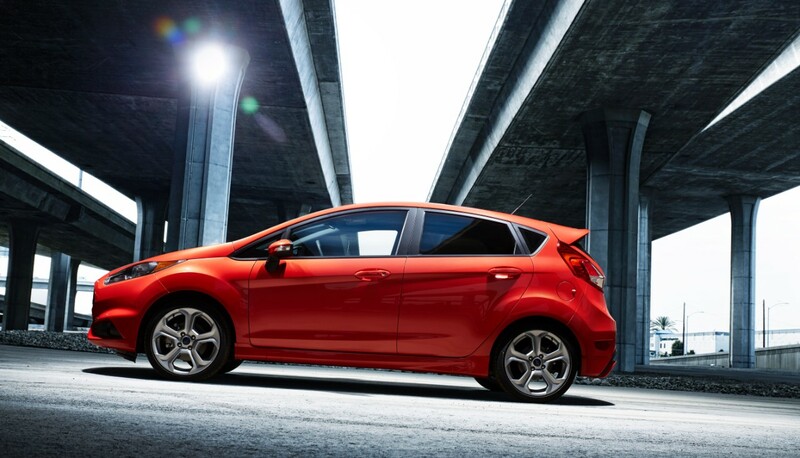 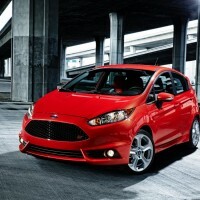 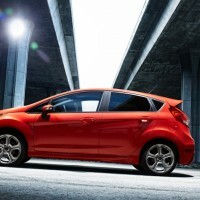 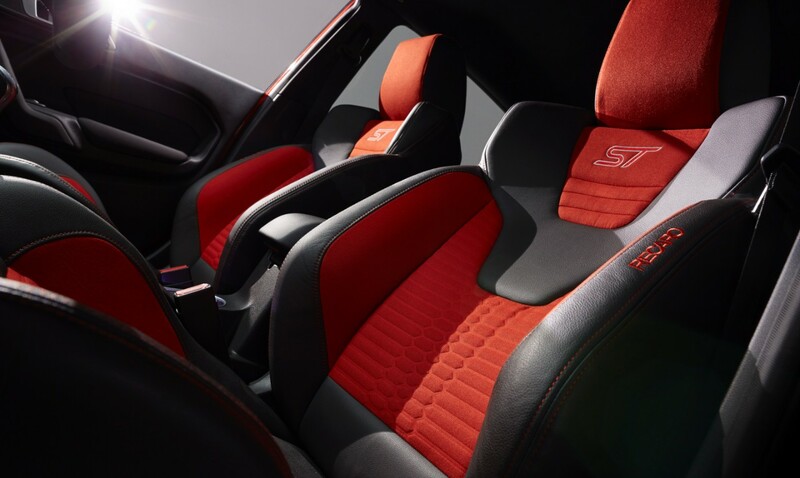 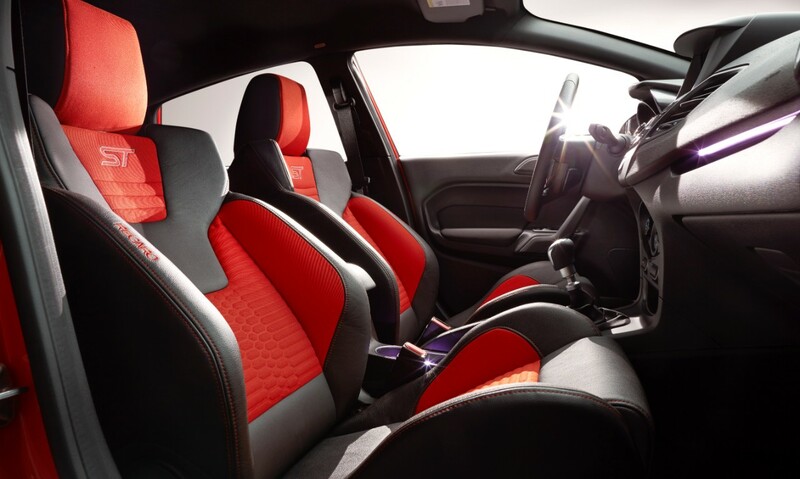 Overall, Fiesta ST provides enthusiastic drivers with the ideal mix of performance handling and ride comfort. 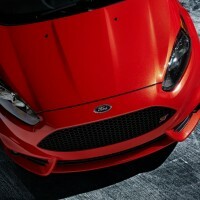 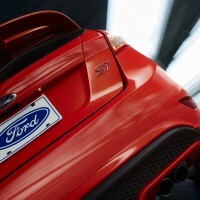 Fiesta ST will also sound good on the open road. 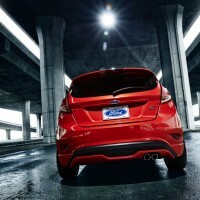 It features a modified version of the sound symposer implemented on other Ford products. 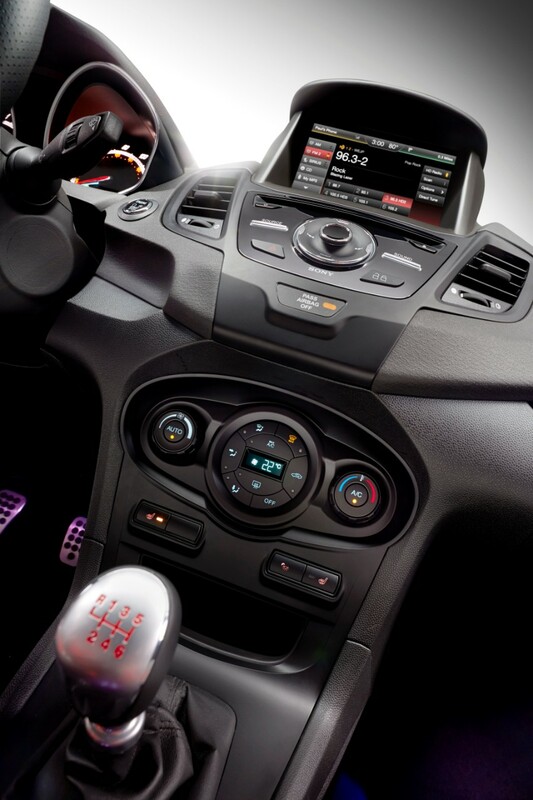 The sound symposer provides an enhanced soundtrack for drivers out tackling the open road. 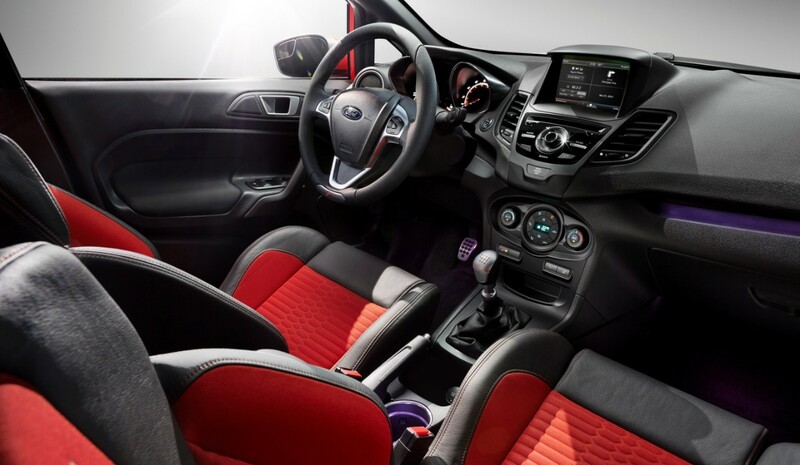 It is unique for Fiesta in that for the first time the engine sound is directly fed into the passenger cabin to accentuate feedback quality and response. 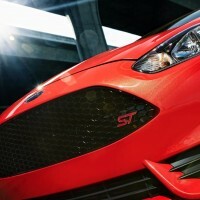 Fiesta ST is the result of the combined efforts of Team RS in Europe and SVT in the United States.